Why don’t you give love on Christmas day? 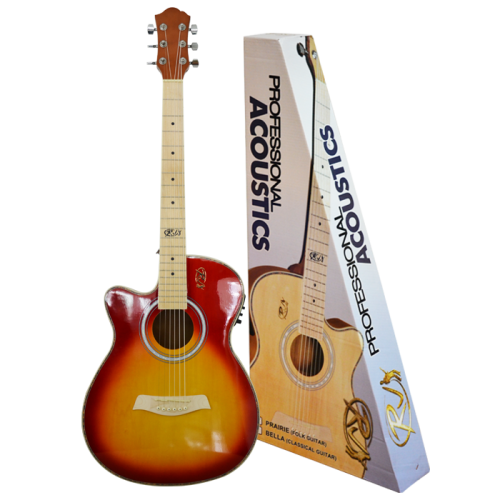 We all know the song, and the truth – that it gets even better when the love you give also comes with a present. I have always been a fan of “little things.” To me, what is important is that someone remembered and someone cared enough to give me a present. That thought alone makes my heart melt. 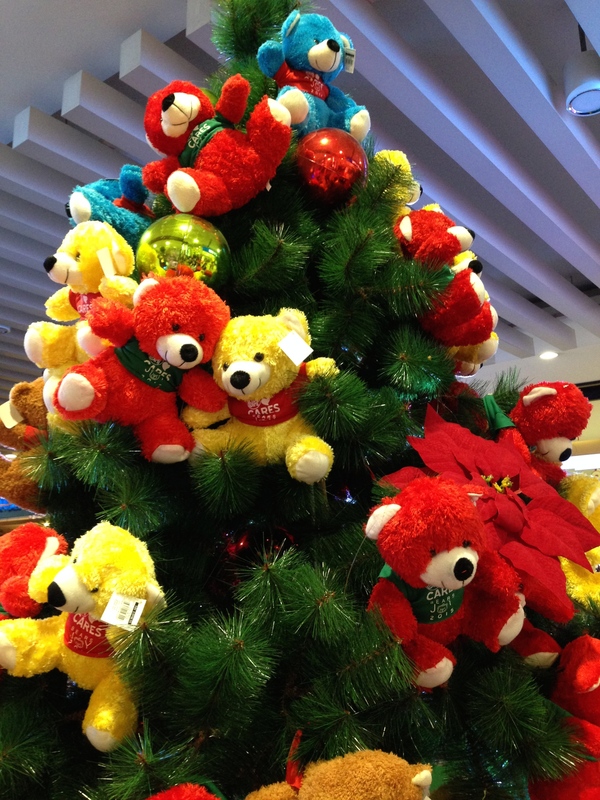 Don’t you just love it when Christmas is near? There’s that festive, happy mood everywhere! People are just extra kind and generous. Kids are excited, dreaming of toys and gadgets and counting the days before they get to open their presents. It is just amazing that people from different backgrounds – Moms and dads, aunts and uncles, ninongs and ninangs, sweethearts and friends make lists and take time to buy presents to show that they care. Six weeks away from Christmas and I constantly remind myself to finalize my list, choose with care and head to a nearby SM Mall to purchase them. Note to self: Include myself in my Christmas list. Oh, how I often forget myself for Christmas. So for this year, I’m giving myself a gift. I’ve always wanted to buy a sofa that I can put in my nook, a special place in our house where I can read my favorite books, write and enjoy my quiet, quality time. More than a sofa, it tells me that there is one place in the house where I can just be myself and enjoy time with coffee and soft music in the background. Lukas may wake up on Christmas morn with a new bike! Can’t wait to see how his eyes would sparkle when he sees it. 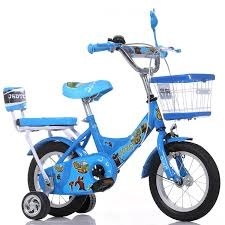 He’s turning 5 next year and what is a little boy without a bike? Perhaps this can be an opportunity for all of us to have our own bikes and spend time outdoors with the family. I believe that the best gifts are those which are given without any expectation of getting something in return, where the intent of the giver is just to be a blessing to others in need. Unconditional gift-giving starts by sharing a piece of yourself. There is another way we can make a child happy. We can partner with SM Cares. 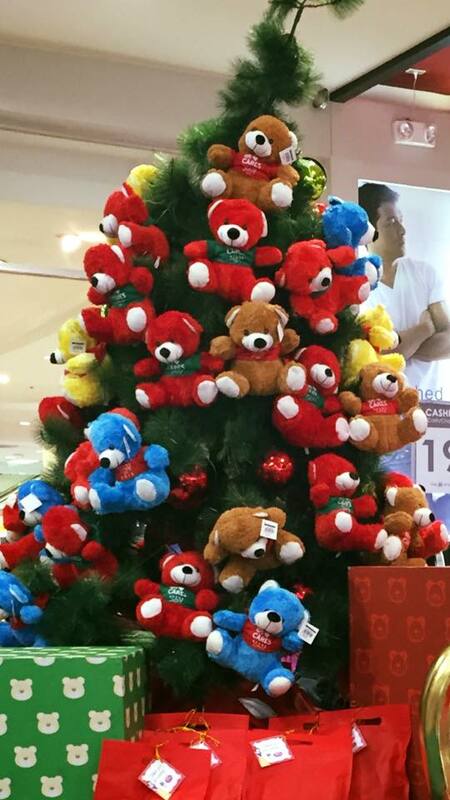 For Php 200.00, you get to keep one bear and donate the other to children from various orphanages and charitable institutions through the SM Cares program. Imagine a child so happy, she got a cute, huggable teddy bear for Christmas. Truly, there’s joy in giving. Gift giving can be a chore to deal with but with loving intention and care, can be a source of fulfillment. The best ones are those we give just because. I’m reminded of how God gave the best gift of all that first Christmas. He saw our need for a Savior and sent His son Jesus to us even when we are unable to reciprocate His love. Truly unconditional giving displayed in love. 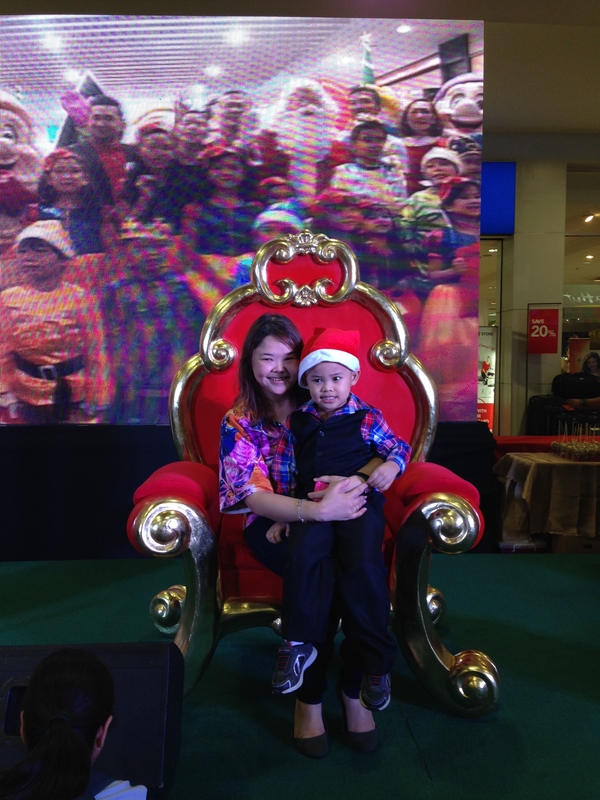 Christmas Launch Spectacular at SM City Taytay! 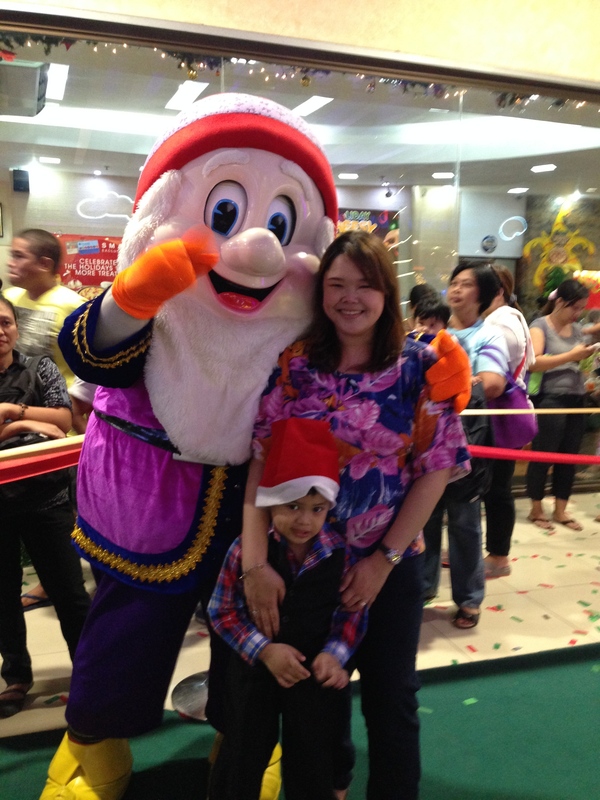 Bright colors and sparkling decors; Happy smiling faces of both kids and adults. Carols and cheers in the air, That over-all festive atmosphere. 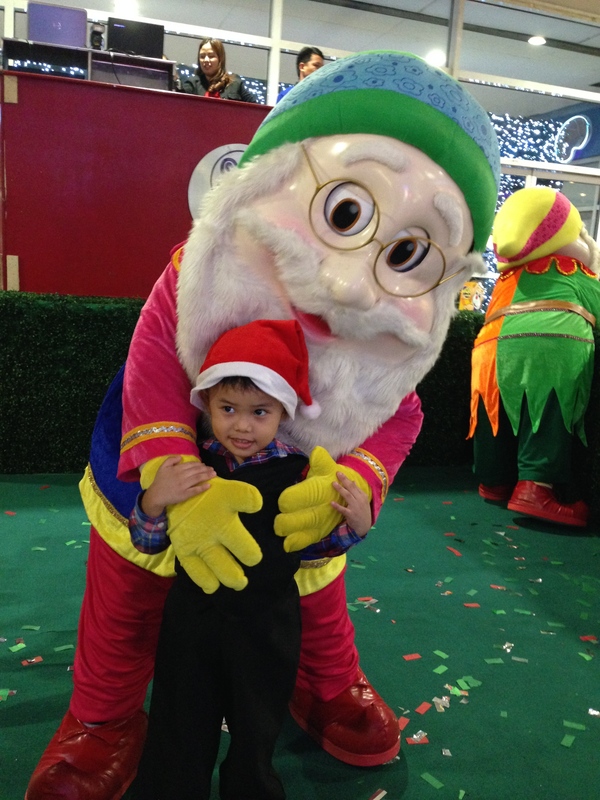 Christmas started early at SM Supermalls! 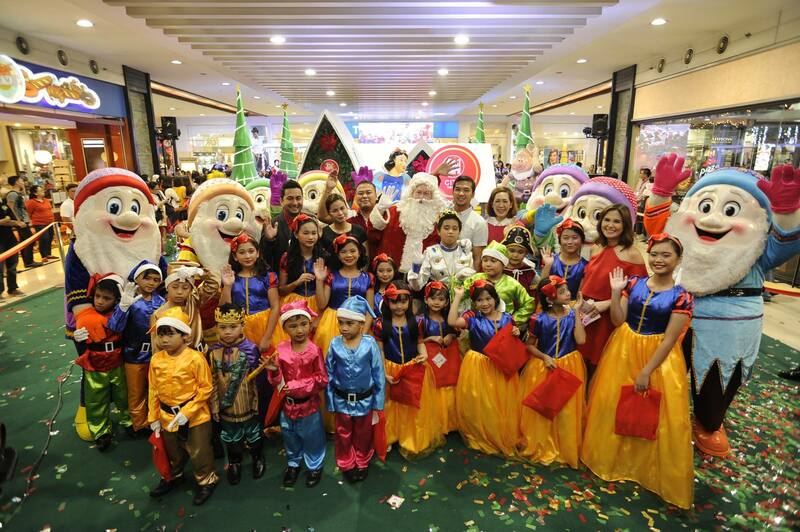 Six happy weeks to go before Christmas and SM Supermalls delighted everyone with its theme – A Royal Holiday. 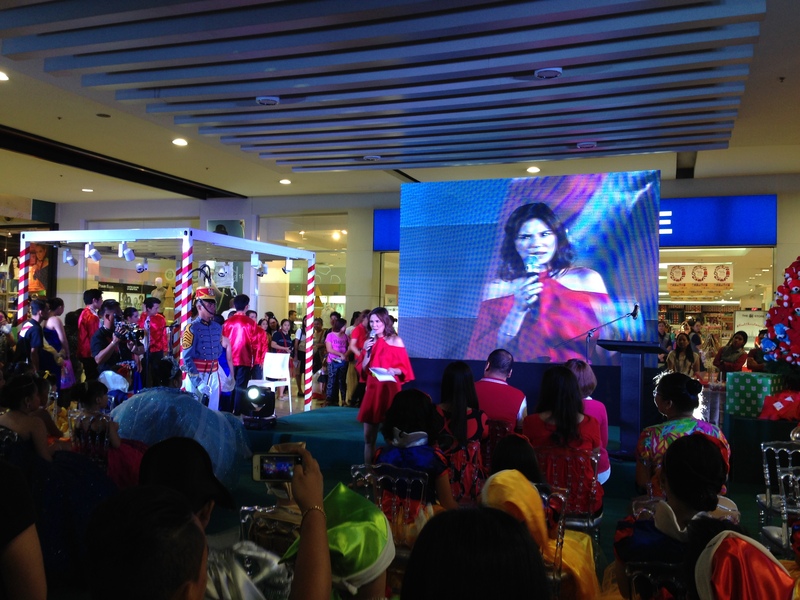 Christmas launch for SM City Taytay happened last Friday, November 6 at the Atrium. The event attracted and entertained hundreds of folks from nearby areas. 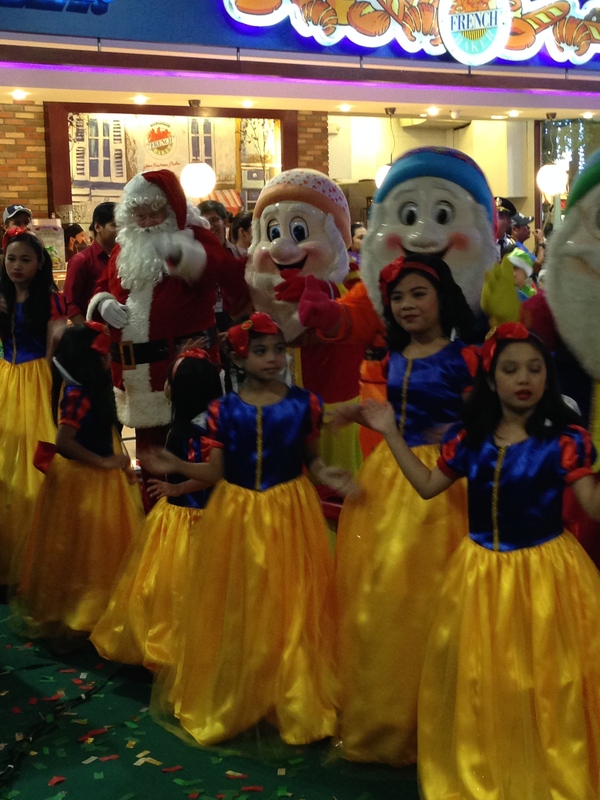 Who wouldn’t be delighted to see colorful Christmas trees and little kids in princess’ costumes? Snow White and her apples – Yummy! 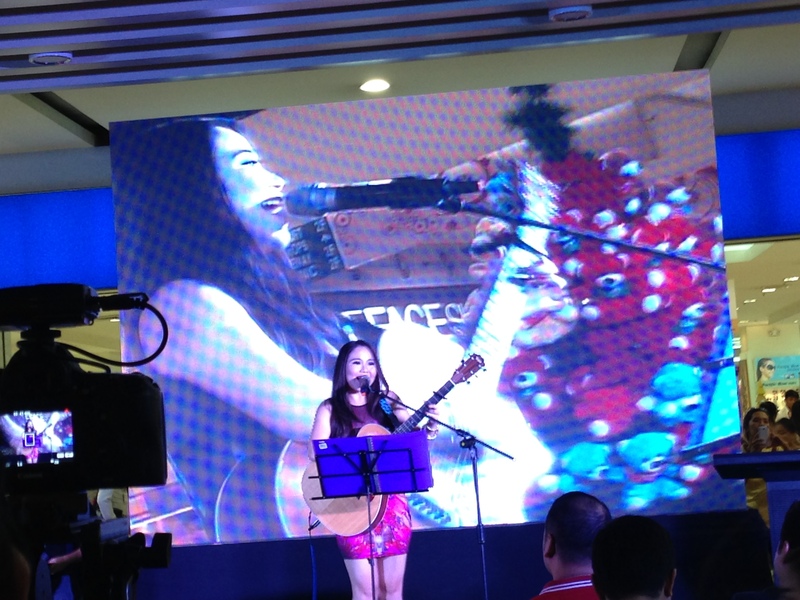 The program started at 5:00 pm with Christmas Carols rendered by a choir followed by a couple of songs from Sabrina. 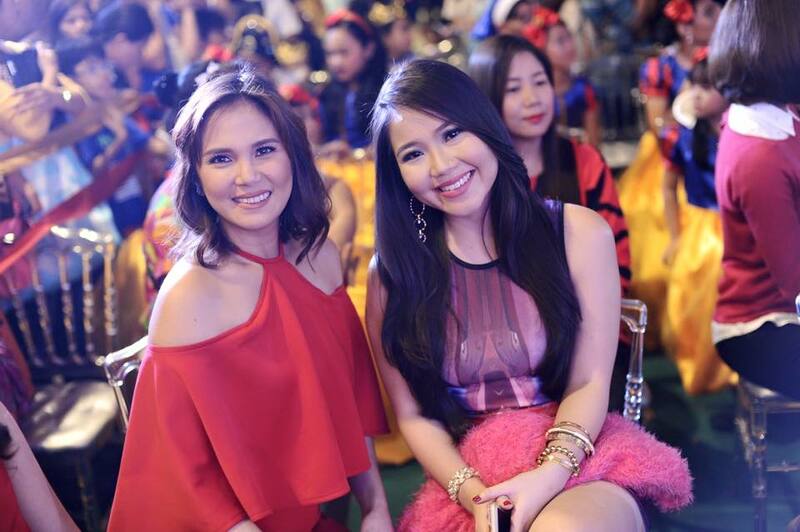 Isabel Oli-Pratts hosted the show. Little kids were made up in their beautiful gowns. 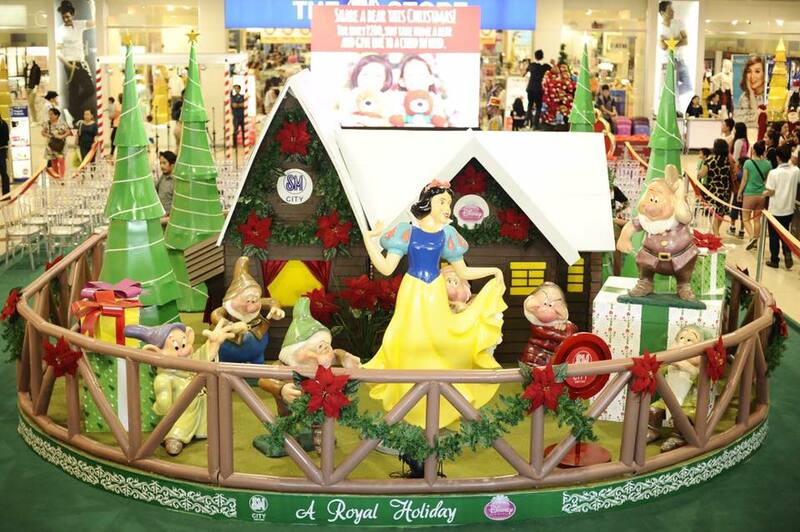 SM City Taytay’s theme was Snow White and the Seven Dwarfs – So cute! Kids just can’t get enough of them and adults simply can’t resist to take a selfie shot. It is not usually that you get to see the 7 dwarfs! The kids danced and got bags of goodies – Thank you SM! 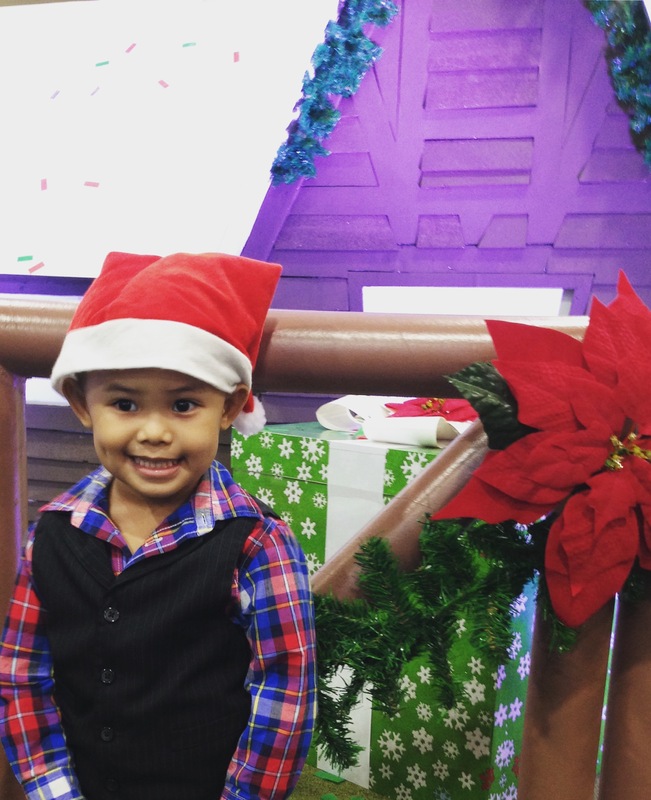 I myself had a good time and was especially happy that my son was able to share the fun! What a happy, spectacular present and treat to all of us as we launch and welcome the Christmas Season – a season to be merry for God sent the greatest present of all – His son, Jesus. 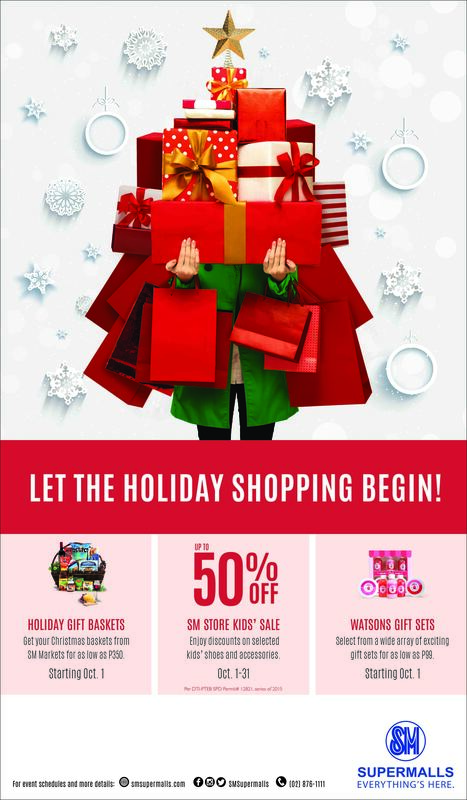 To complete your Christmas gifts, visit SM Supermalls – SM City Taytay and have a wonderful #MerrySMChristmas! 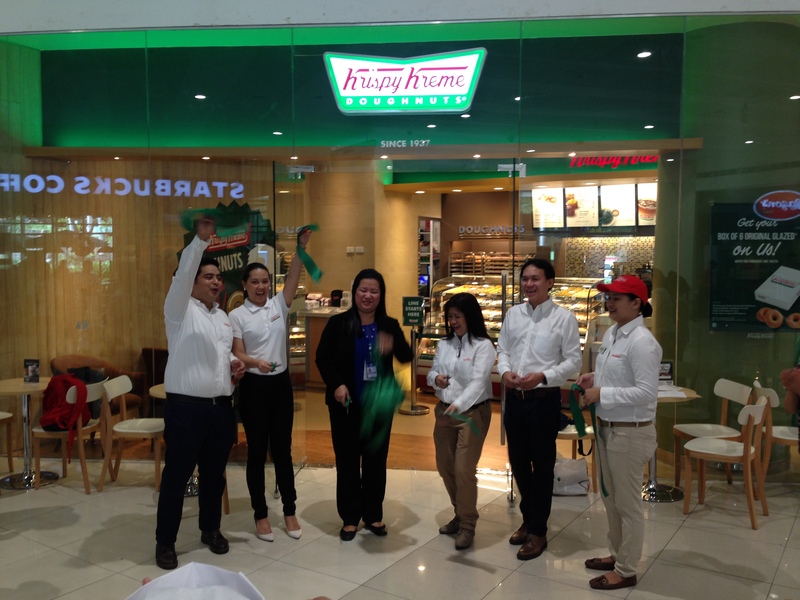 The Krispy Kreme doughnut frenzy sweeps over Manila with the opening of Krispy Kreme’s newest stores in SM Makati and SM Angono. Delighted Krispy Kreme fans queued up at Krispy Kreme’s SM Center Angono’s stores on their grand opening day to purchase one dozen of Krispy Kreme’s mouthwatering Joy in a Box. 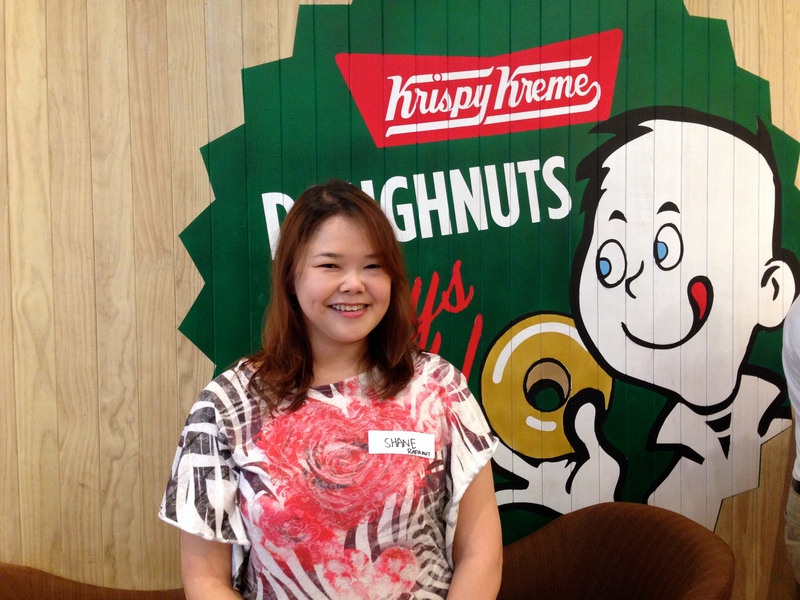 As a sweet surprise, customers received half a dozen on yummy Original Glazed doughnuts – all for free! Krispy Kreme enthusiasts may also enjoy Krispy Kreme’s wide range of fresh and premium doughnuts, savory treats and beverages with their friends and loved ones inside the branch or by ordering through the Krispy Kreme mobile app any time, any day. 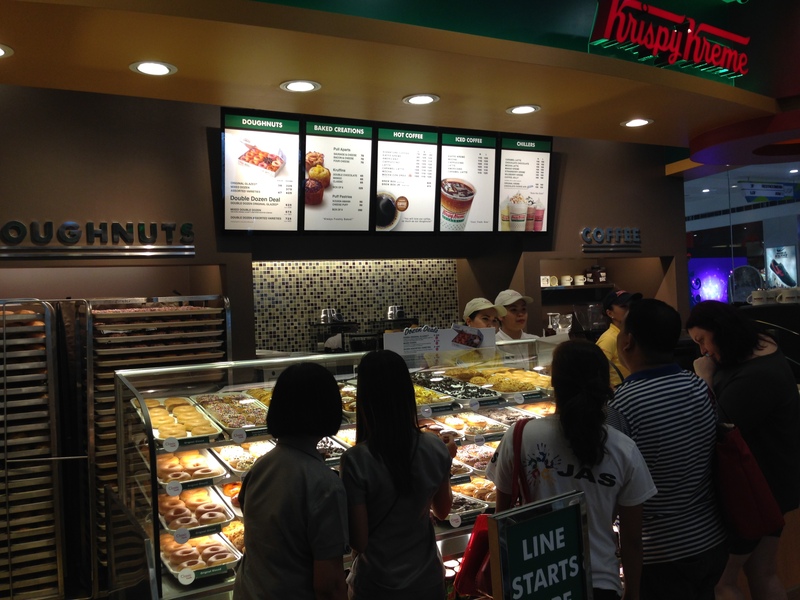 “Krispy Kreme is pushing the boundaries of delighting Filipinos with every Joy in a Box that comes out of our stores. 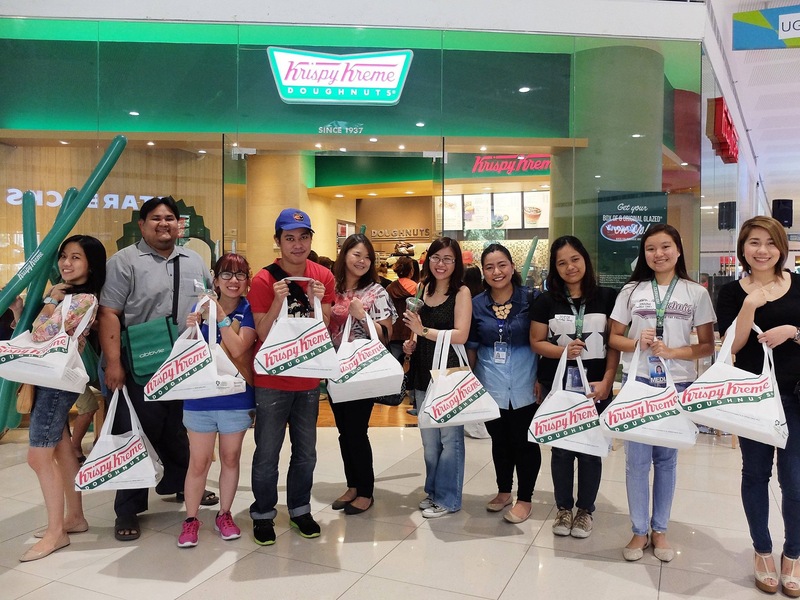 It’s an experience that begins with love for Krispy Kreme’s yummy treats and the passion to share this joyful experience with our friends.” said Ariane Valinton, Marketing Manager for Krispy Kreme Philippines. 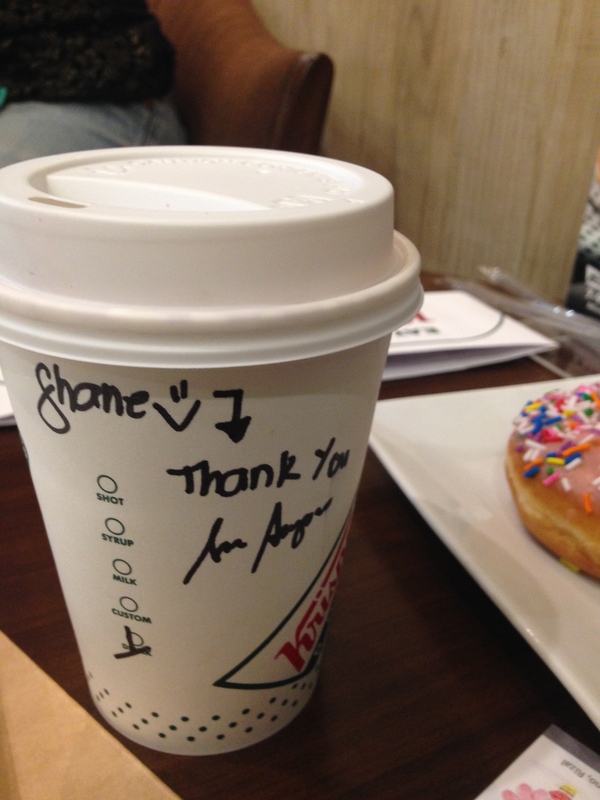 Get in the loop and check out Krispy Kreme on Instagram, Twitter and Facebook: (KrispyKremePH). 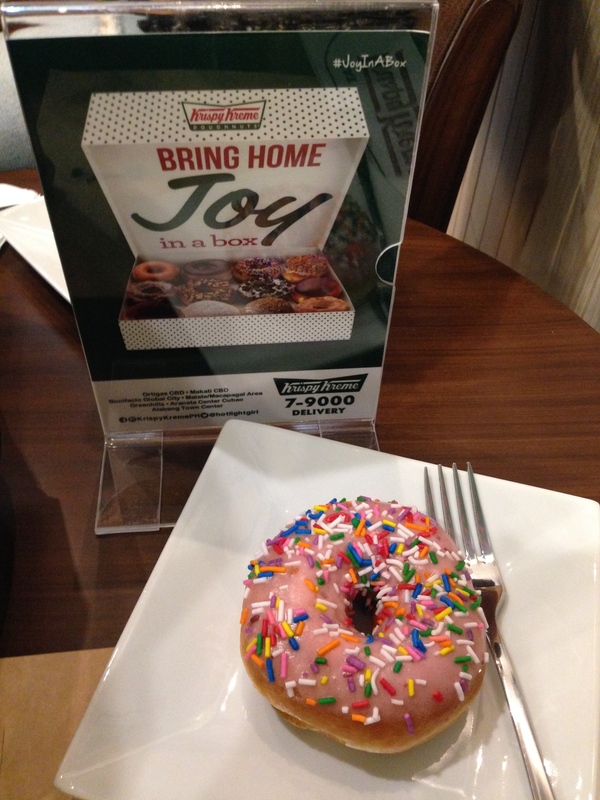 Share and experience your own #JoyInABox with Krispy Kreme. 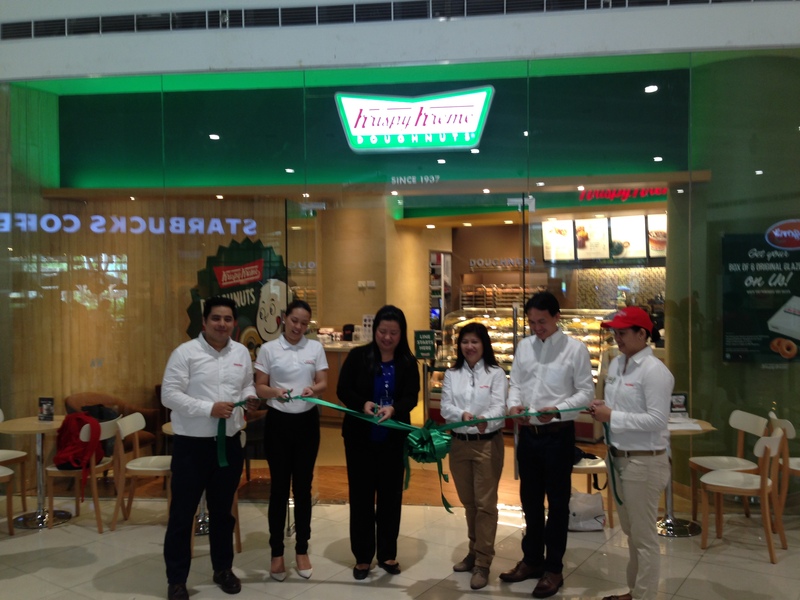 Krispy Kreme is located at the upper ground floor of SM Center Angono. Of course I had to wear the hat! 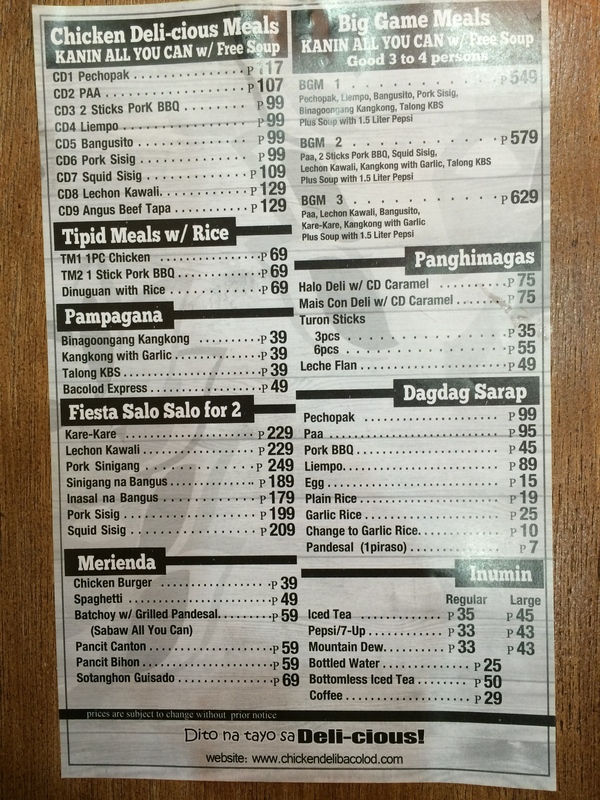 Chicken Deli – Bacolod delights for the whole family and Barkada! Heads up! Bacolod’s own CHICKEN DELI-cious proudly opened its first branch in Rizal last Friday, October 30, 2015. 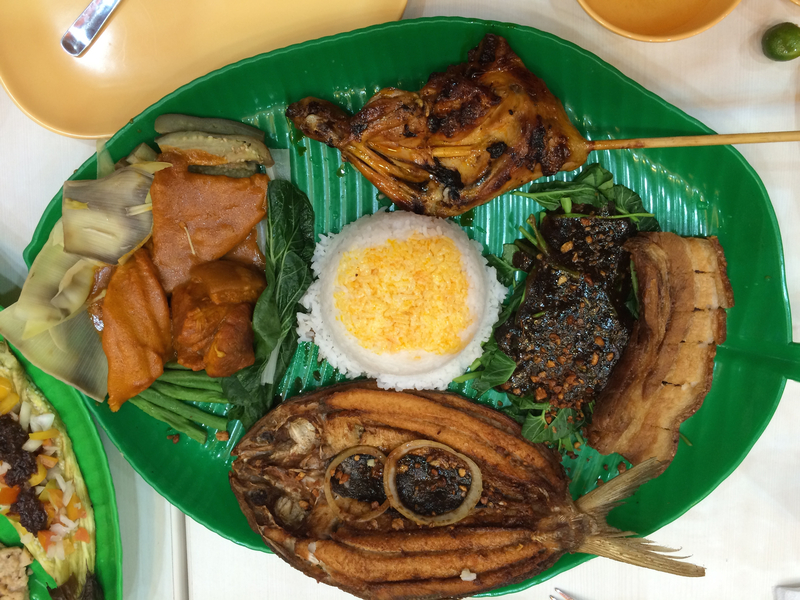 If you are from nearby areas and wanted good Filipino food that’s oh-so-yummy, delicious, affordable and “sulit” (good value for money), then you should try Chicken Deli. The ambiance reminded me of Bacolod when we went there a couple of year’s back – homey, simple, traditional hearty cooking. 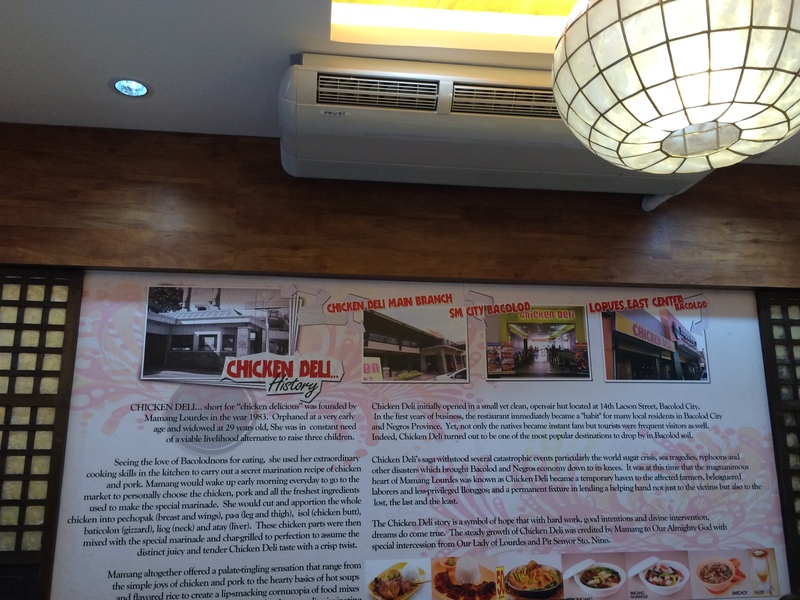 Chicken Deli started 1983 in Bacolod. 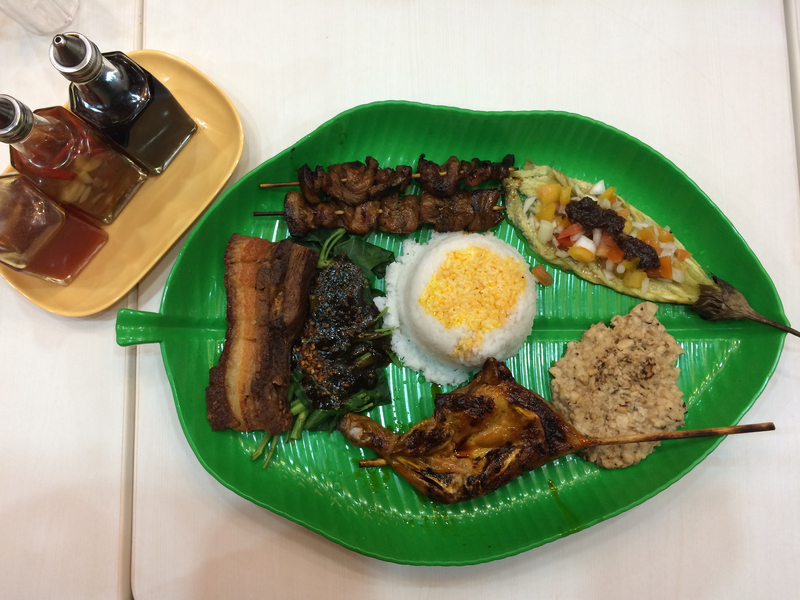 Their best sellers include their special flavored Inasal along with favorites Kare-Kare, Lechon Kawali, Bangusito, Pork BBQ, Liempo, Sisig, Sinigang and Angus Beef Tapa Their Chicken Deli-cious meals come with “Kanin all you can” (unlimited rice) and free soup. No wonder, people are lining up. My friends and I were able to try their Big Game meals – a sampler of their best sellers. We had refills of their Special Kare-Kare sauce and had extra orders of rice. (Oh dear)! I was able to try their Halo Deli with CD Caramel (P75) and wow! it was really special. The caramel topping is really unique and delicious with just the right amount of sweetness. James Yap is the current endorser of Chicken Deli, being an Ilonggo himself and a fan of Chicken Deli even way before he became an endorser. 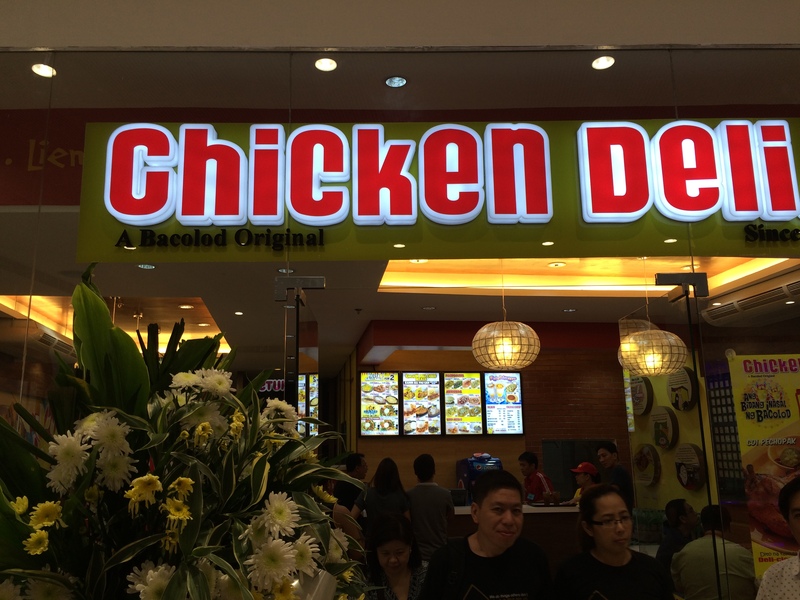 Chicken Deli is located at the Upper Ground Floor of SM Center Angono. You may visit their website for more information.